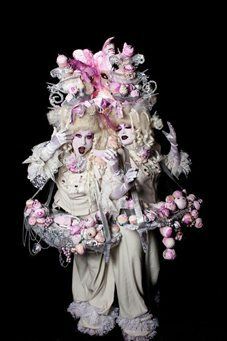 The Cake Canapé Ladies are a stunning duo who attract attention wherever they go. These corporate entertainers will graciously move through your event handing out delicious cupcakes to your guests. If you want to book corporate entertainment that will be remembered long after your event then we recommend this stunning act. These event entertainers are available to hire for corporate events and private parties. 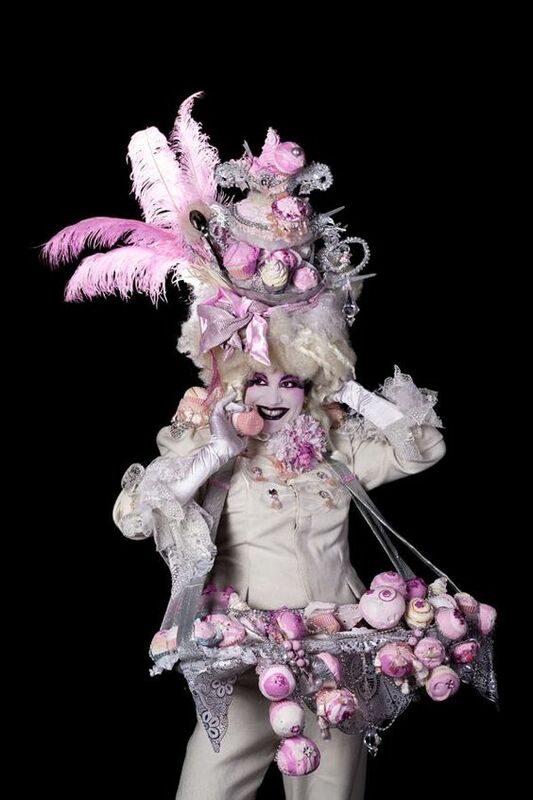 The Cake Canapé Ladies can perform walkabout sets with or without stilts, and their costumes are truly magnificent and have been carefully made by hand. The Cake Canapé Ladies perform 3 x 30 or 45 minute walkabout sets. We were absolutely delighted with the performers last night! The impact of the stilt walkers outside on arrival certainly caused a stir and gave attendees a great first impression of the event. Both ladies were a pleasure to work with. They were incredibly professional and friendly so a real plus for the event – we couldn’t have achieved such success without them! Please pass on a great big thank you to the girls for their performance yesterday. They looked great and the public loved them, they were a fantastic addition to the activities on the square. Thanks to you also for all your help in the lead up to the event, the day was a great success. The performers were great. They kept in touch, arrived on time and looked great. We would definitely think about rebooking them again. Once again thanks for all your help and we will no doubt be in touch. The stilt walkers were fantastic and the guests loved them. The performers were superb and entertained the crowds with their antics so all in all I was very pleased with their performance. The evening went really well and the girls were great. The cupcake girls were just so different so great to have them there…..Thanks for your help with this.